Burroughs is an independent engineering and project management consultancy. We are proud to have been instrumental in shaping an exciting and diverse mix of infrastructure and building projects. We offer a range of services, covering BIM, civil and structural engineering, project management, cost management and CDM advice. Our clients and our people are at the heart of everything we do. We believe that our staff are our biggest asset. We ensure that we are professional, collaborative and approachable. Our philosophy is to focus on each client’s individual needs and to develop tailored solutions for each project. We are striving to be market leaders. Our desire to deliver successful projects for our clients sets us apart. Building Information Modelling (BIM) is being heavily promoted by the UK Government as defined by BS 1192:2007 and PAS 1192, as transforming the project development process working with more accuracy and efficiency, while driving costs down throughout the design, construction phase and lifecycle of a construction project. With leading edge BIM modelling capability, innovation and design optimisation, Burroughs enjoys an excellent reputation for Civil and Water Engineering. Our experienced staff deliver practical, cost effective and sustainable solutions. Our experienced Team specialise in realising the vision of clients and architects. We are skilled in the use of materials, which helps to create modern functional spaces. Practical buildability knowledge is embedded within the business helping us to engineer complex civil structures. 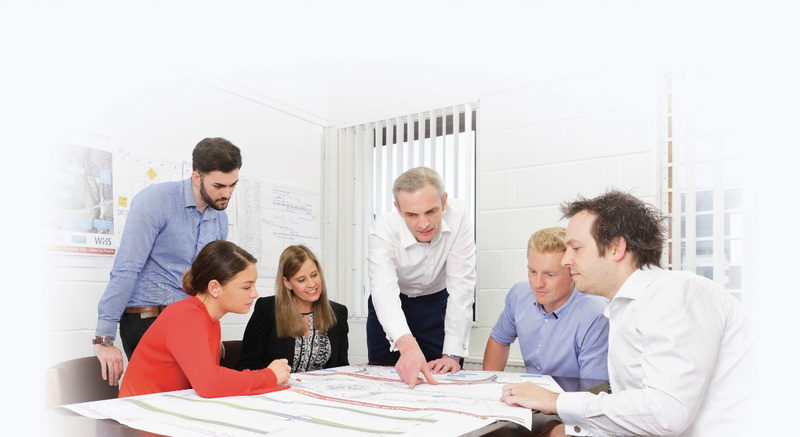 Burroughs’ staff have experience of virtually every type of development project and collectively possess the desire and skills needed to ensure each project is a success. Our Team are both Cost Managers and Engineers giving us an edge in terms of understanding and delivery. Our Cost Managers work proactively, providing contemporary cost advice at all stages of the project lifecycle giving clients confidence in budgetary control and decision making. Burroughs has been actively engaged delivering the requirements of the Construction (Design and Management) Regulations since their 1994 introduction; from advising clients to fulfilling the roles of Planning Supervisor, CDM Coordinator and Principal Designer. Burroughs has continued to evolve with both industry and legislation with the release of the CDM Regulations 2015, making significant commitment to ensure a high level of skill, knowledge and experience of the new Regulations. Our people are our biggest asset. Burroughs aims to create a working environment which stimulates professionalism, creativity and innovation. Our staff are enthusiastic to deliver for our clients. We invest real energy in the technical training, academic and professional career progression of all our staff.